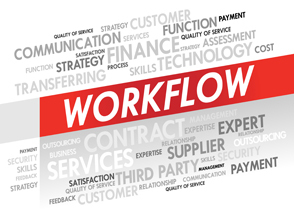 Scantech can help to reduce overhead and customer service team costs, via its workflow process solutions. Flow MultiNode FlowCollaborator: advanced workflow with multi disparate input and collaborative work and multi user training technology. for clearer clarification of both images and documents. Scantech offer both basic and more advanced workflow tools with a wider variety of input options txt,email, webxml, plus the collaborative modules that allow two staff to online voice chat while sharing an item in the workflow, allowing resolution or clarification of what should be done to meets client needs, greatly reducing SLA times and communication errors between staff, increasing productivity and accuracy. Our collaboration module will also allow group training where team leaders can take staff through an item interactively all based from their own work stations, with voice over discussions.